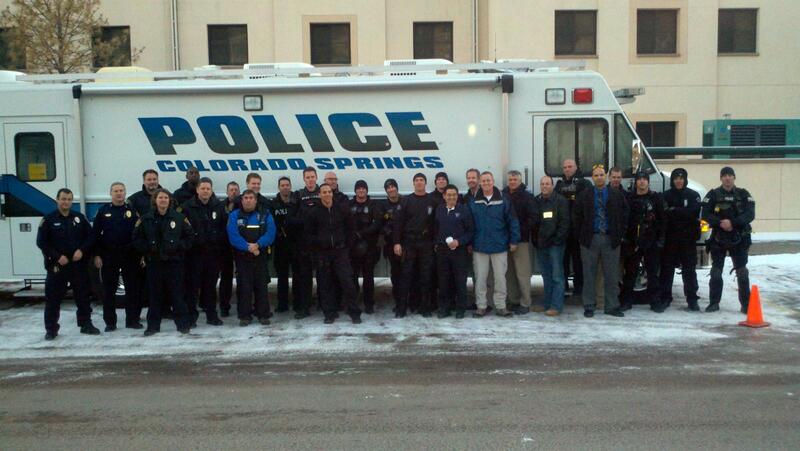 UCCS police, counseling faculty, and residence life staff members joined with the Colorado Springs Police Department and the Federal Bureau of Investigation to conduct a training exercise Jan. 12. Throughout the day, activities took place in the Department of Public Safety offices and in campus housing. 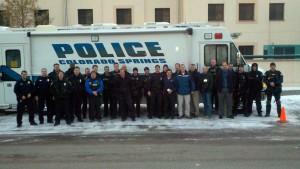 The Colorado Springs Police Department’s Mobile Command Post was on campus. Officials from the FBI and the Colorado Springs Police Department led training exercises in hostage negotiation techniques, followed by a mock domestic violence barricade scenario in campus housing. Also participating in the exercises were members of the College of Education Counseling and Human Services Department, Residence Life and Student Housing, and a campus response team of administrators, counselors and student affairs professionals.